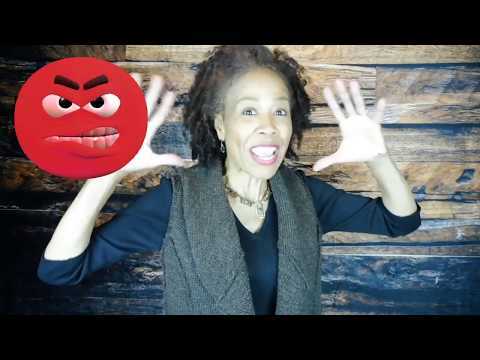 Perpetual mOe-Tion (@drmOeanderson): Need A Speaker? Stressed? Feeling unappreciated? Learn why you absolutely must pursue your passions and make your welfare a priority if you want to be a better parent, partner, or worker. Take control of your life again. Immediately use Dr. mOe's simple techniques and strategies to tune-up your life for better performance! Learn while you laugh. Humor is now an accepted method for preventing and alleviating many stress-related medical problems. In this lively session, Dr. mOe shares hilarious anecdotes, as well as, the proven benefits of an optimistic attitude. Humor therapy has no side-effects or deductibles. Why not give it a try? How well you communicate and share information effects your ability to move toward your goals. Increase your success ratio with ten simple tips on positively and powerfully delivering your message. This seminar teaches participants to recognize a listeners' personality type and customize word choice to enhance their understanding. Grow your network and your business by listening and speaking with purpose. In this powerful presentation for new or aspiring business owners, Dr. mOe separates facts from fiction.. Does "location, location, location" really matter? Should you quit your day job and pursue that dream of owning your own business? Do you need a business plan if you are self-financed? Dr. mOe uses examples from her experiences as a CEO, limited partner, S Corporation, Professional Association, franchisee and teenaged babysitter to dissect the myths of entrepreneurship. Dr. mOe's first book was on the subject of Ebonics. Since that controversial topic was formally introduced to the American public, the language of Generation X and Y has begun to dominate the world market. This speech was developed for a conference in Germany, but, by popular demand, it is now available for anyone needing pointers on motivating teens and young adults. No need to learn slang. It's not what you say, it's how you say it. Dr. Anderson's delivery can only be described as an elegant creation of useful personal improvement techniques topped off with a delightful dose of humor! She captured the full attention of the audience and insured that everyone was a co-driver on these motivational journeys. The enthusiasm [she] generated continued throughout the entire retreat. We received many positive comments on [her] presentation and feel the women of our community enjoyed it. We hope [she] will consider returning in the future. Loved your thoughtful and humorous comments on work-life balance. What a wonderful message for women! Her awareness of popular culture enabled her to communicate with university students. Also, her ability to present information from diverse perspectives helps her connect with audiences across many domains. She was marvelous! She mesmerized our audience with a speech that directly impacted our girls.When she was done speaking, you could have heard a pin drop before the audience began to applaud---we were all touched by her speech! It was such a pleasure to see the audience having fun, being engaged and appreciating the words of wisdom you offered. Your message was so important for the community I serve as a member of the Dallas City Council. You are an outstanding speaker and a phenomenal woman....It is not often that sisters lift other sisters, you did and I am truly grateful. To book a speaking engagement, signing event, or media interview email Dr. Moe at info@drmoeanderson.com!